Waking up to a beautiful white sand beach and blue ocean was a motivation enough to plan a trip to an island. 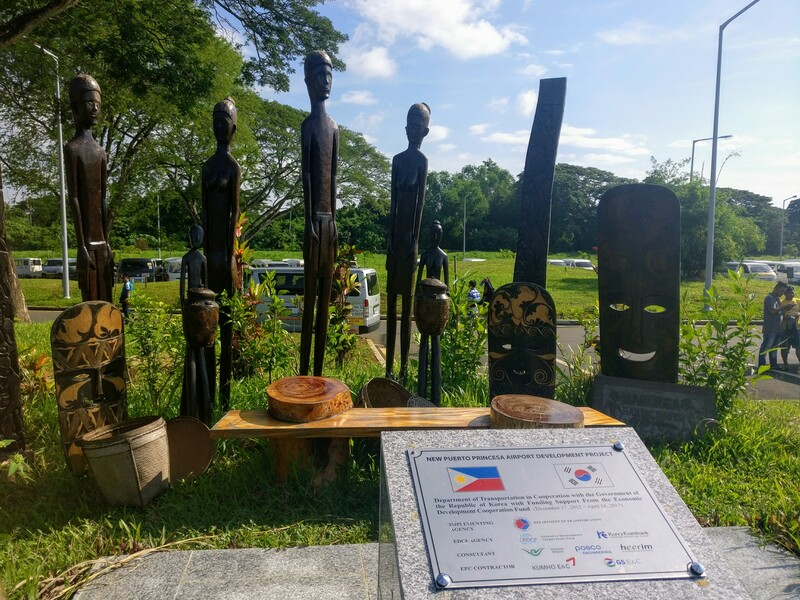 I could combine the idea of taking a mini-vacation with my recent trip to the Philippines for a workshop. I did a lot of research on which places I can go to, there are more than 7000 islands in the Philippines and I had to pick one. 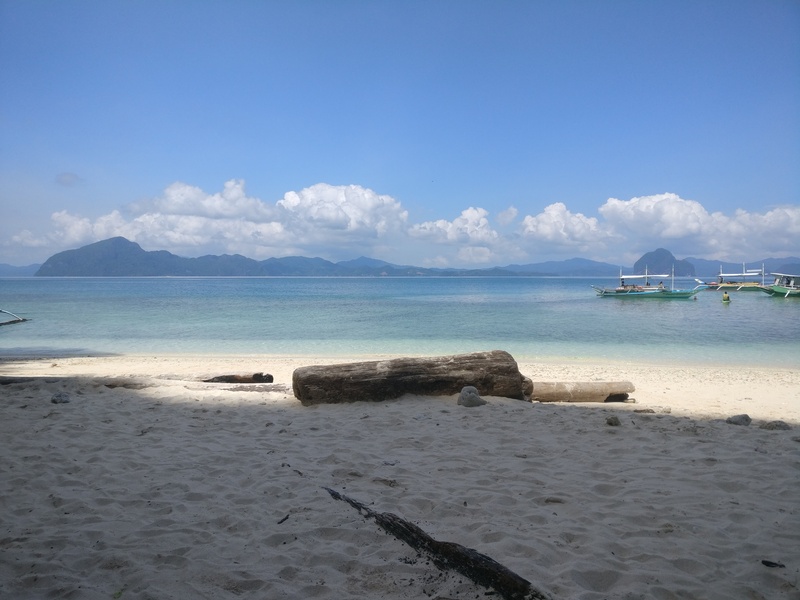 After a thorough research and #tripadvisor reviews, I decided to go to an island called Palawan. 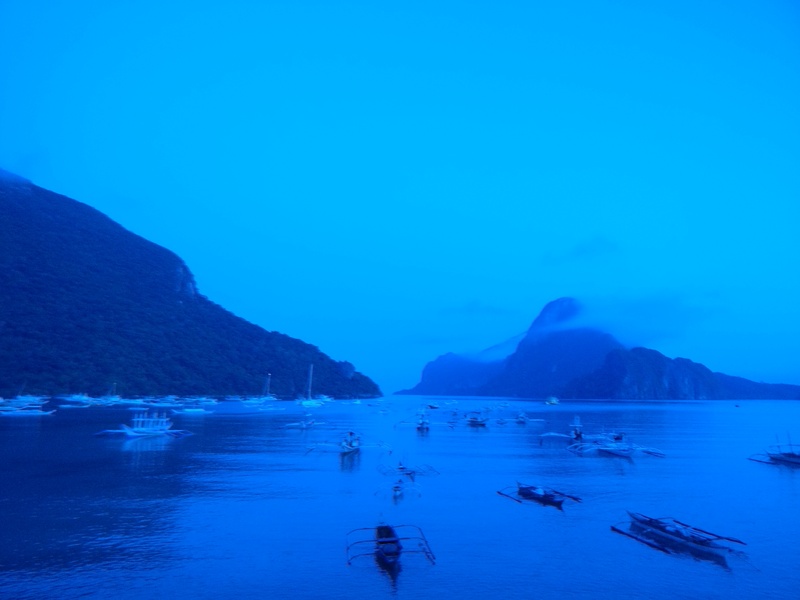 There is a place named El Nido in Palawan that is said to have the bluest water in the world and most picturesque. After attending whole day workshop, team dinner and party till late night, followed up with quick packing, me and my friend catched an early morning flight to Peurto Princessa, Palawan. During the flight I enjoyed watching sun rays touching sky and ocean. The small drops of island from flight view looked almost devine. We safely reached Palawan, it was an hour and half long flight from Manila to Puerto Princessa airport and from there we had 7 more hours drive to reach El Nido. 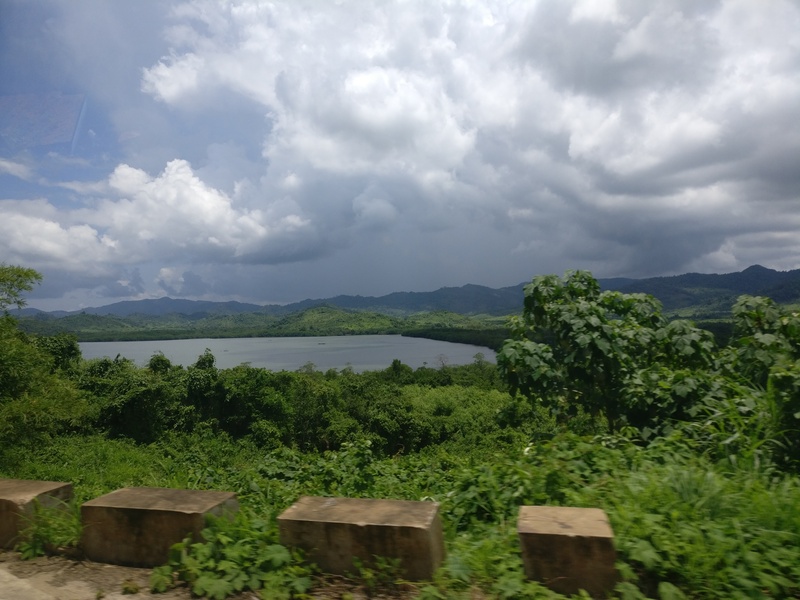 The drive to El Nido was not less than a zigzag rollercoaster, as entire route was across the hills having delightful landscapes of coconut farms and coastal roads. 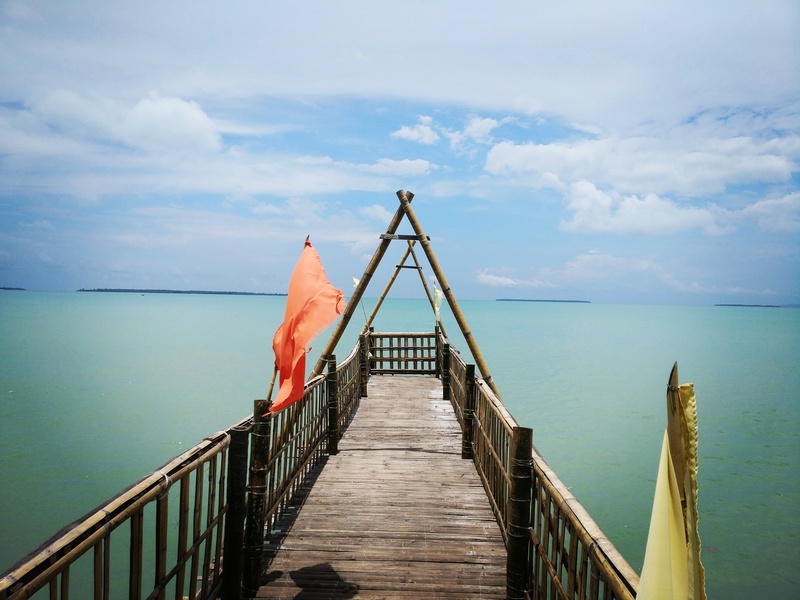 There were small huts made of bamboos on the way that was almost fascinating and a symbol of how life blossoms in every corner of the world. Although the drive offered beautiful scenery, we were dead tired when we reached hotel. It took whole day, we reached by 5.30 pm. 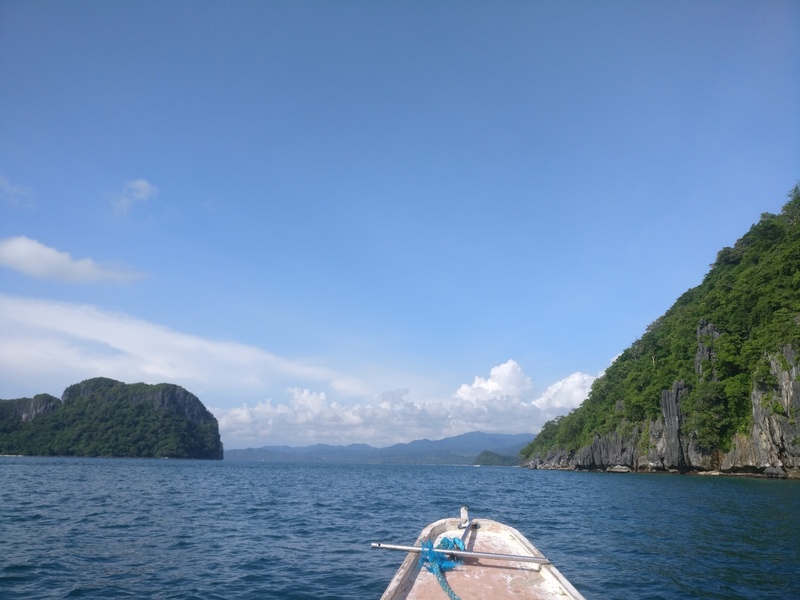 So if you are on a short trip, I would recommend you to take direct flight to El Nido. Although it’s expensive, but it will save you entire day. The medium of transportation is 10 seater van, which is faster than bus. We booked a tour package so it was inclusive, however it is easy to get a van directly from Peurto Princessa airport. The van will drop you to a particular spot and from there you have ride a tricycle to reach your hotel. This is the policy for giving business to localites. We booked a beach side hotel with an ocean view, before we could enjoy the view it started raining cats and dogs, it was a storm with high winds. The hills near our hotel were not visible anymore. Seems like anywhere I go, I bring rain along. I was scared as we have come so far and if it’s gonna rain like this we won’t be able to go for further trip. So only prayer I had in my heart was to have a sunshine next day. With this wish I went to sleep. And to my heart’s delight, I woke up with the sound of waves and this serenity. The sky was clear and the world was painted blue. It was a breezy refreshing morning that made me forget all the pain. It brighten up my soul and I knew it’s my day. After having a feastful breakfast at hotel, we started our island trip. Boat picked us from the beach, within 10 minutes we were quite far and the view turned mesmerizing. The boat sails across blue ocean around big rocks. Our first stop was at 7 commando beach. 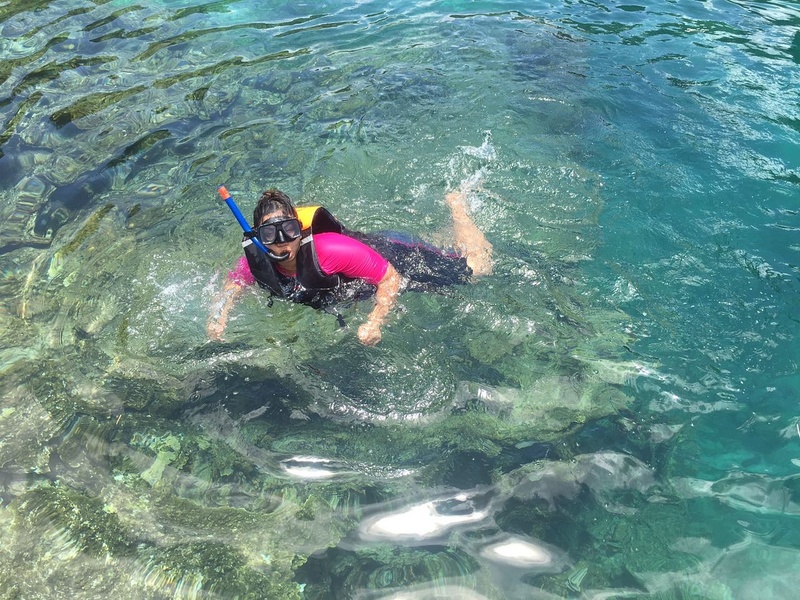 The sun was shining bright and water was crystal clear to enjoy snorkeling. Our next destinations were big lagoon and small lagoon. Lagoon is a formation of rocks in between the ocean, where water is collected. It has varied species of fishes, sea snakes, and reefs. Small lagoon was my favorite place as the water has an enchanting shade of blue, it was crystal clear and kayaking across the lagoons feels like exploring the paradise. I didn’t wanted to blink my eye, because I didn’t wanted to miss even a single sight. While snorkeling I saw various types of fishes, plants, reefs, and realized the life beneath sea is so colorful and calm. Every living being has it’s own fate and it’s own purpose of life. Our next destination was Secret Lagoon. But before that it was time for lunch. We stopped at an island, that had no name, however beach was small and beautiful. 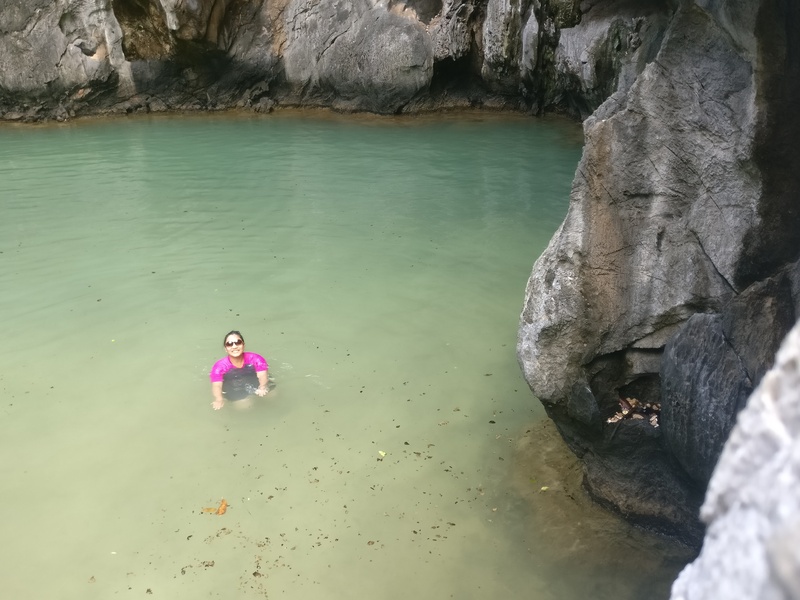 There are many hidden beaches on tiny droplets of islands in #ElNido. The tour guys served us freshly cooked fish, rice, and fruits. As I am not into sea food, I brought my sandwich along and enjoyed the fruits. We sat on the beach, under a tree, relaxed watching the waves and feeling the calmness of nature. After relaxing and some more snorkelling. We proceeded towards our final destination, that is Secret Lagoon. The boat is parked a bit far from the place, as the water is shallow and there are pointed rocks. We had to walk on it and it is advisable to wear water shoes. It is not easy to walk as waves comes with a force and there are chances you get injured. However our tour guide helped us in crossing the path safely. There are just rocks around and it’s hard to find Secret Lagoon. 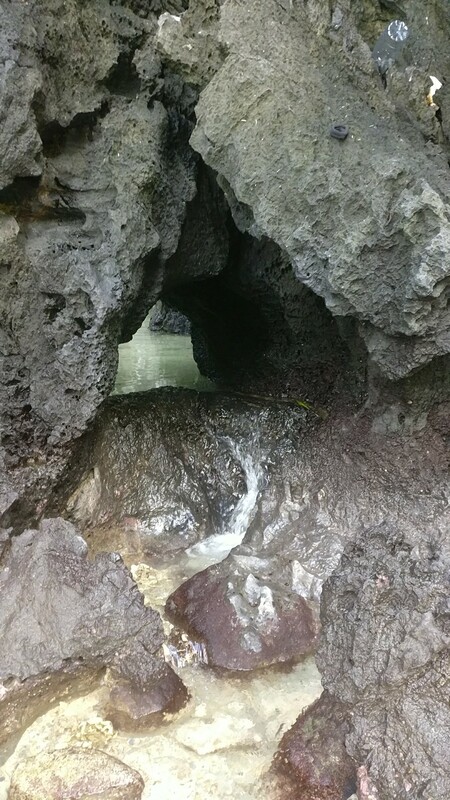 And there we found a small hole in the rock from which we had to pass by. After spending some time here and a beach nearby, we headed towards home. Even while going back I wanted to capture every scenery in my memory. 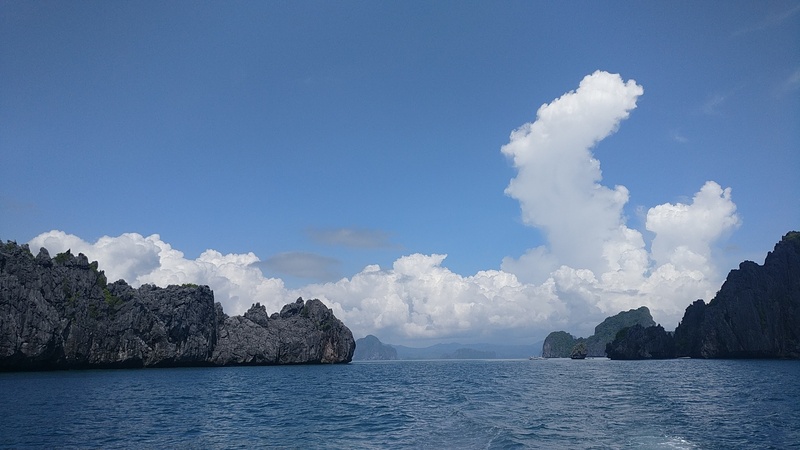 I sat at the front of the boat, feeling the wind, best views of ocean, admiring the nature and having a good conversation with a co-traveller from England. We came back hotel by 4 p.m. After taking a nice hot water bath, we went to town area for our dinner. The town is more like a village, has lot of shops for soveniers. 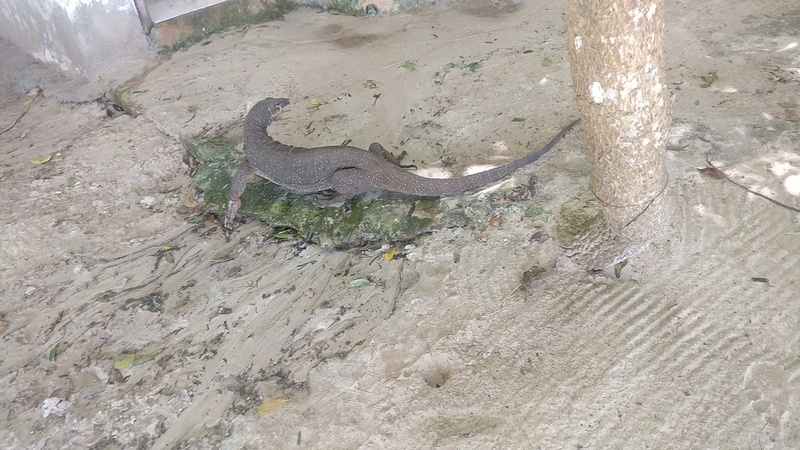 Although El Nido has it’s own flaura and fauna, it seemed like its main revenue is from tourism. It was fascinating to see people from different parts of the world at one place that is so far from the cities. 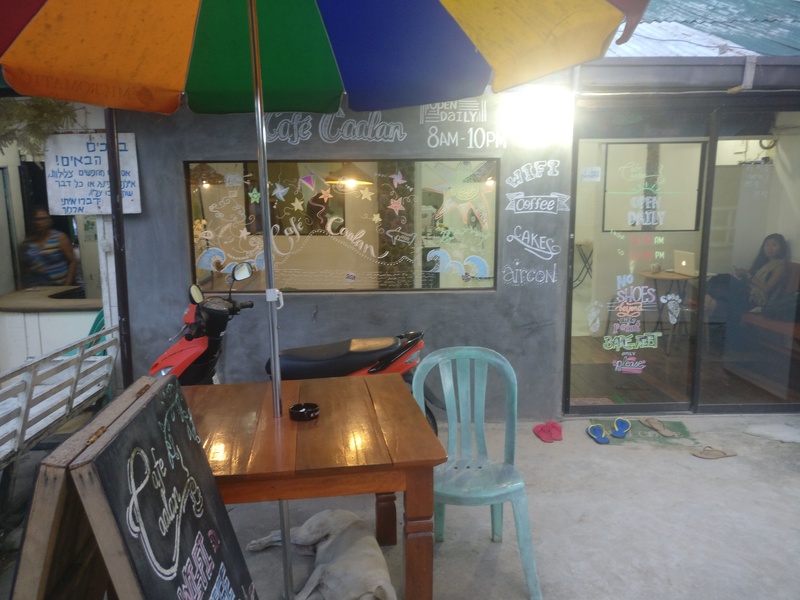 Here, having a Wi-Fi and Aircon are the extra amenities a cafe can offer. We found a cute place called Cafe Caalan, where we spent our evening. Mango shake and cinnemon bread cake are must try. 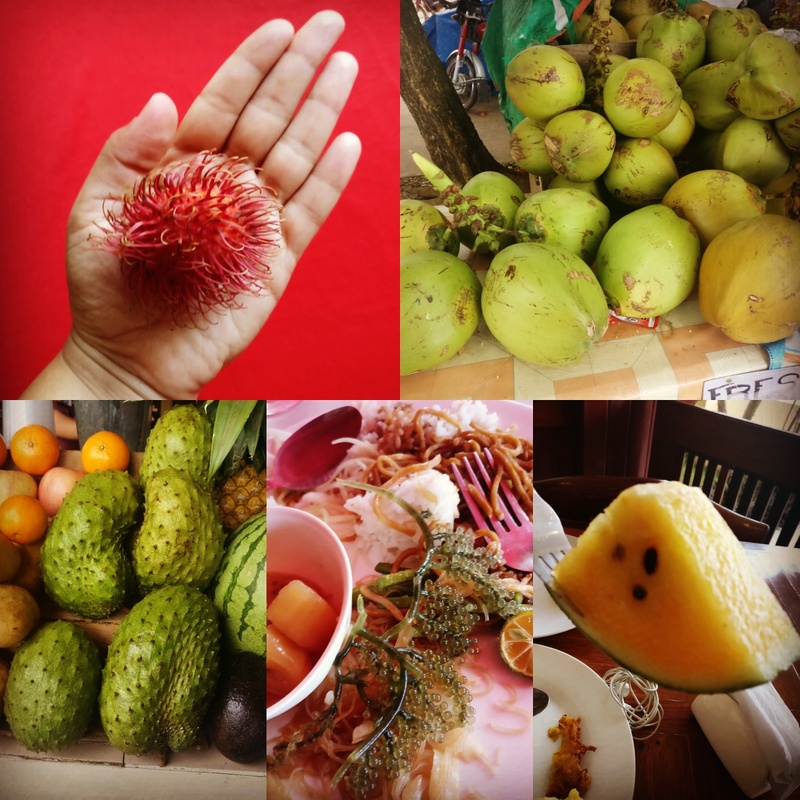 Food had all kinds of sea food and some exotic fruits like guyabanu, rambutan, and yellow watermelon that I tried for the first time. Tender coconuts were so big we get half a size here in India. Having one tender coconut water was enough to fill you up. I liked the way you describe India in your blogs…. Keep it up!! 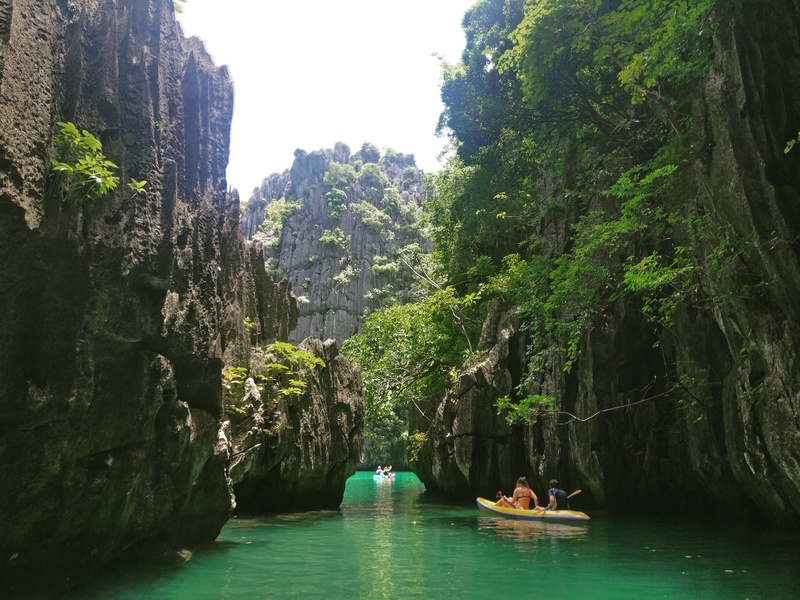 I read out your entire write up for El nido, it seems like you have visited not only the particular place but the entire world in short period of time. 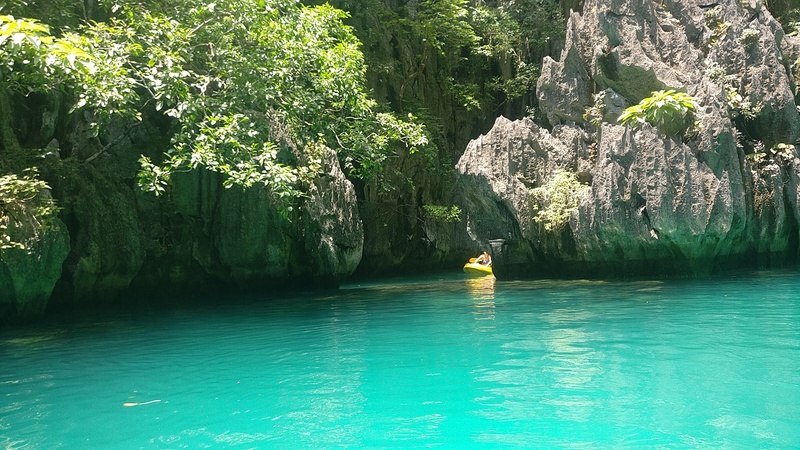 Nice pictures of El Nido, I like the place and I felt like i m going through El Nido. For few minutes I forgot everything while reading your blog!! Thanks for sharing your views and experience for this place.